In New Hampshire, Republican Governor, Chris Sununu, has signed HB 1319 into law, protecting transgender individuals across the state from discrimination in employment, housing and public spaces. The major victory for equality marks the first statewide proactive win on LGBTQ non-discrimination protections in any state since 2016. 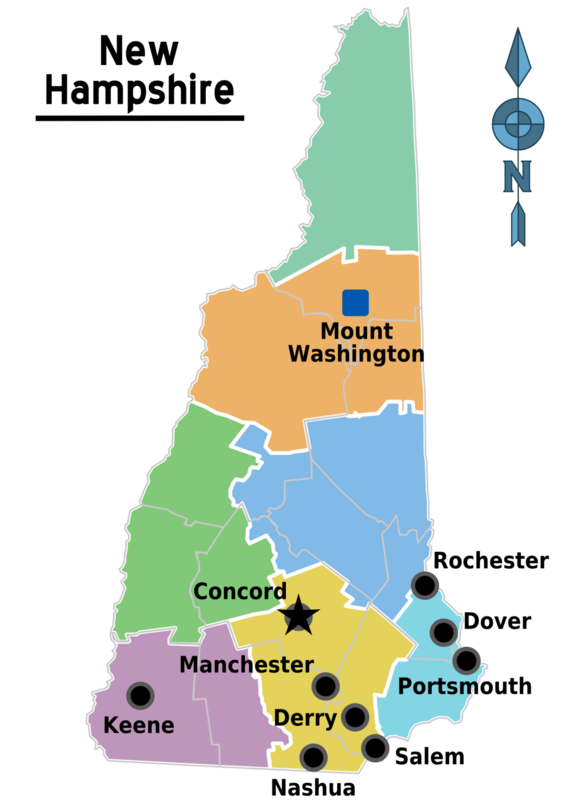 New Hampshire is now the 19th state in the country – and final state in New England – to explicitly provide comprehensive nondiscrimination protections to LGBTQ people. It is particularly significant because of the broad Republican support HB 1319 garnered. The measure passed the Republican-controlled Senate by a vote of 14-10 and the Republican-controlled House with an overwhelmingly strong vote of 195-129. Governor Sununu also signed HB 587 into law, banning conversion therapy for minors, a dangerous and debunked practice that purports to change a person’s sexual orientation or gender identity. New Hampshire joins 13 other states and the District of Columbia that also have laws or regulations protecting LGBTQ youth from conversion therapy. Freedom New Hampshire is the nonpartisan coalition of businesses large and small, law enforcement, anti-violence advocates, faith leaders, and transgender residents and their families who introduced Granite Staters to their transgender neighbors and made the case for equal opportunity and freedom from discrimination. HB 1319 was endorsed by the New Hampshire Association of Chiefs of Police, the Business and Industry Association of New Hampshire, the New Hampshire Women’s Foundation, House Libertarian Caucus, Children’s Legislative Caucus, and the New Hampshire Human Rights Commission. The members of the nonpartisan Freedom New Hampshire coalition include Freedom for All Americans, GLBTQ Legal Advocates & Defenders (GLAD), the American Civil Liberties Union of New Hampshire (ACLU-NH), Human Rights Campaign, Transgender New Hampshire, and Rights and Democracy New Hampshire. The bipartisan victory in New Hampshire comes as the Trump-Pence Administration continues to push an anti-transgender agenda at the federal level, targeting transgender youth, workers, and individuals serving in the military. A growing number of Americans are rejecting discrimination against transgender people, as evidenced by public outcry in response to North Carolina’s deeply discriminatory HB 2 law; two consecutive failures by anti-LGBTQ activists in Washington State to bring the state’s decade-old nondiscrimination law to a ballot measure; the defeat of Texas’ SB 6, one of the worst anti-transgender bills in the country; and the recent victory in Alaska where Anchorage became the first municipality to defeat a ballot measure specifically targeting transgender rights. The law goes into effect on July 8th, thirty days after the Governor’s signature. The Human Rights Campaign is America’s largest civil rights organisation, working to achieve equality for LGBTQ people.